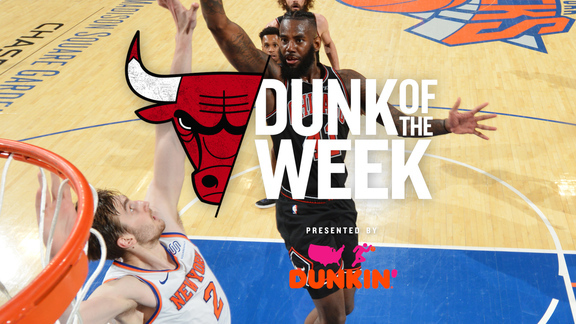 The play of Walter Lemon Jr. and JaKarr Sampson have re-energized the “Baby Bulls” over the past week. The two G-League signees have produced in their brief stint with the team adding offensive versatility. Lemon is averaging 19 points, 3 rebounds and 7 assists in three games in a Bulls uniform. His two free throws with less than two seconds remaining carried the Bulls to a road win over Washington on Wednesday. Meantime, JaKarr Sampson in two games is averaging 20 points and 8 rebounds per game, shooting 66% from the floor. Before arriving in Chicago via the G-League, Sampson had stops with Philadelphia, Denver and Sacramento. Sampson’s 22 points and seven rebounds against the Wizards helped the Bulls end a five game slide. Milwaukee 128, Philadelphia 122. The Bucks claimed home court advantage throughout the playoffs picking up win #59. The 76ers have lost five of their last seven. The game of the night in the NBA and it had the feel of a playoff affair and more. Giannis Antetokounmpo and Joel Embiid were on center stage and did not disappoint. The Bucks defense was superb down the stretch. Giannis was fabulous with 45 points, 13 rebounds, 6 assists and 5 blocks. Embiid: 34-13-13 - 3 blocks. Jimmy Butler missed the game with a back issue. Milwaukee’s Eric Bledsoe was tossed after he got in to it with Embiid. The 76ers bench,a major concern to begin with, lost James Ennis III for two weeks with a quad contusion. Golden State 108, Los Angeles Lakers 90. The Warriors own the best record in the West at 54-24 and have a two game lead on Denver. DeMarcus Cousins with a 21-10 game. Sacramento 117, Cavaliers 104. Buddy Hield drilled five-three pointers. He needs six more three point field goals to break Damian Lillard’s NBA record for most in a player’s first three seasons. Lillard made 599. Thanks for reading CCI. Reach out to:cswirsky@bulls.com or Twitter: @ctsbulls. Always a pleasure!